Silvia and Georg Maier have restored and renovated the Villa Ceconi - which used to belong to older members of the family - with an eye for detail and style. 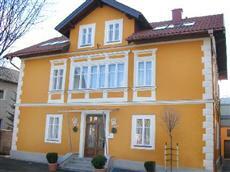 As a Salzburg town villa the house offers typical charm and atmosphere. Its facade, now painted a friendly orange, the windows, the wooden floors and typical architectural details dating from the 19th century have been entirely preserved. Experience your holidays in the heart of Salzburg in the new Villa Ceconi! The unique town background, cultural gems and incredibly varied natural surroundings- this is what Salzburg and its outstanding setting are all about.